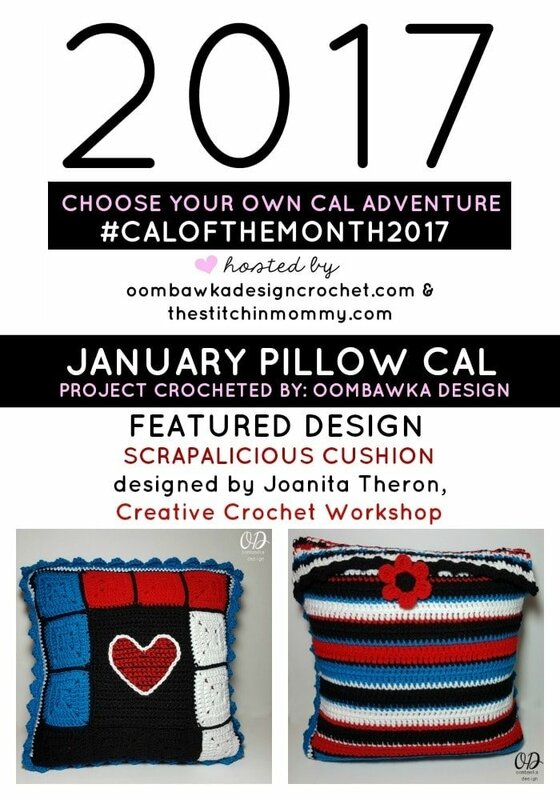 You are here: Home / Free Crochet Patterns / CAL / 2017 CWU CAL / My January Pillow CAL Project! 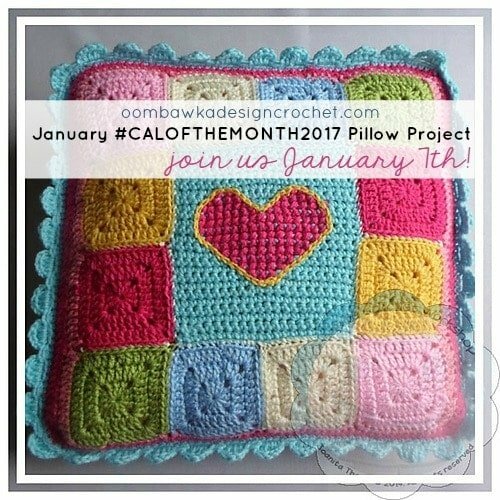 I’m hoping to participate in as many of our monthly CAL projects as I can this year and I am very excited to find out which Scarf we will be crocheting as our February Scarf CAL Project! Aren’t you? Visit Amy (The Stitchin’ Mommy) to find out which project we are making! 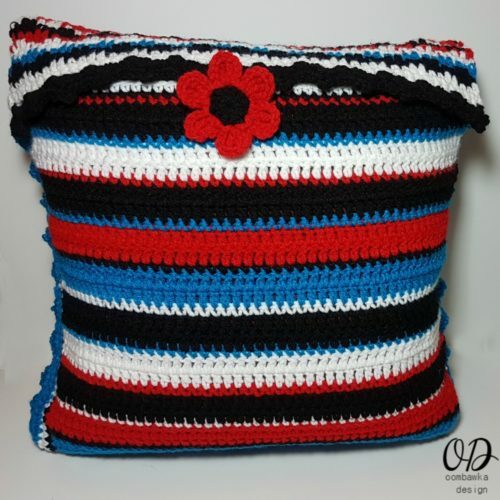 I finished my pillow and I am quite excited to share it with you! I tried different methods to make the stitches and finally went with the same method I use when I cross stitch on aida cloth (where I work all the way across one way and then make a return pass to finish the stitches) but I made sure I pulled very snuggly on each stitch – and it worked – kind of…but it worked well enough for me so I can now check off “Cross Stitch On Crochet” from my “Things to Try in 2017 List”. I was able to try a new joining technique (Completely Flat Zipper Method) I’ve wanted to try for ages! 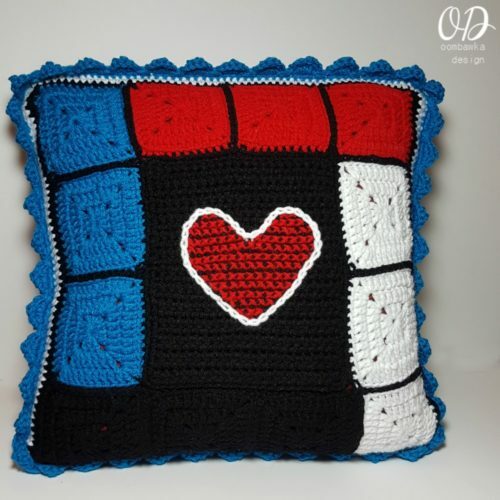 My friend Dedri (Look At What I Made) wrote an amazing set of posts a few years ago about different methods to join your afghan squares (I’ve included the links below, because I know you will want to save them for later too!). It was a little tricky at first but once you get the hang of it – the squares go together beautifully and they are completely flat! Super cool! By choosing to join with the Flat Zipper Method my sizing for the squares and rectangle were slightly off but this was fixed by simply adding an additional round of single crochet to the pieces before seaming them together. My finished pillow case fits on a 16 inch by 16 inch pillow.